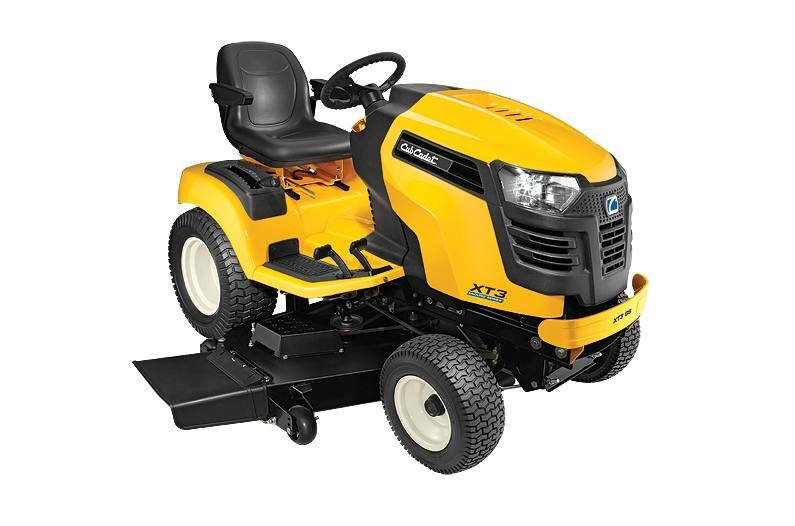 Heavy-duty construction, professional-grade engines, plus ultra-tough components like Cub Cadet's legendary direct shaft drive make the XT3 the ultimate garden tractor. It has the proven strength to cut through tall, thick grass, haul the big loads and power hard-working, ground-engaging attachments.You work hard to make your yard perfect. The XT3 is ready to make it happen. Only the XT3 has an automotive-style direct shaft drive. That means no belts to the drive system to slip or break - just maximum power delivery and durability even when cutting through tall grass or using attachments. 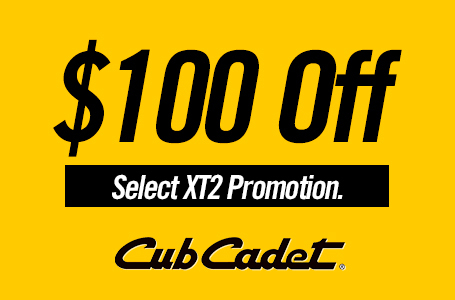 Matched with a cast-iron transmission and front axle, the XT3 provides reliable Cub Cadet performance. Rugged,low maintenance LED headlights, adjustable high-back seat with armrests, automatic transmission and cruise control - all standard. 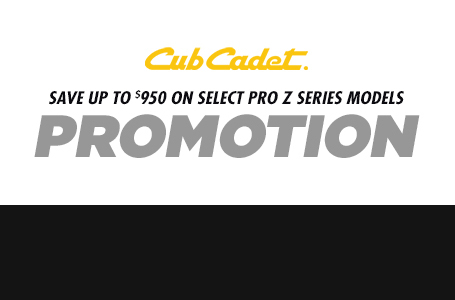 Extra-tough stamped and fabricated cutting decks plus an advanced cutting system built with rugged components ensure unbeatable durability, breakthrough bagging performance, and of course, the beautiful Cub Cadet Signature Cut. Decks sold separately. 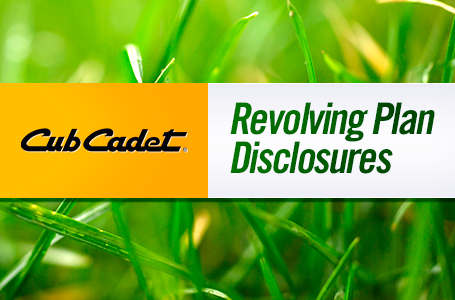 Forward-thinking engineering and the highest-quality standards for strength you can trust. Steering/Turning Radius: Sector and pinion/18"